The interview and onboarding process at Shift can be less than traditional. We often create unique ways to recruit potential employees as well as continue to develop an onboarding program that goes above and beyond the average agency introductions. After I submitted my resume, just as you would for any other job, I heard back from the Employee Relations Department and was encouraged to attend a networking and recruitment event the company was hosting. I’ll admit, there was a slight hesitation at first but the event turned out to be a fantastic way to meet current employees from a variety of teams as well as have a preliminary interview. The first day at a new job can be overwhelming and you have thoughts like, “Will there be a huge learning curve?” or “will I make new friends?”. Luckily, life at Shift was one of the easiest to transition into because of the Shift Insider Program. Before arriving on my first day, I received a friendly email from my “Shift Insider”, Olivia. Olivia was one of my future teammates and had been at Shift for six months. The same email also provided a personalized info sheet all about her and her “favorite” things at Shift, in addition to instructions to meet her at Starbucks in downtown Birmingham on my first day. Instantly, the nerves went away considering I felt as though I had a specific resource I could go to during my first few days of adjusting as well as anytime beyond. Olivia seemed to be my new built-in work buddy. A couple weeks before Mia was hired in, I found out I would be her Shift Insider – I was THRILLED! 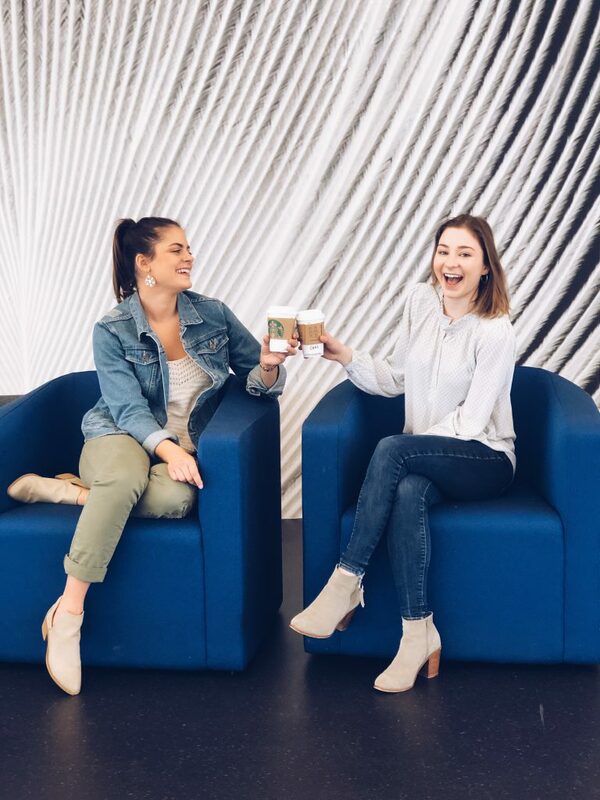 There was so much excitement to be a part of the Insider program because I knew the importance of that specific role considering my Insider was always there for me when I started. My eyes were peeled at the front door of Starbucks anxiously awaiting Mia’s arrival. Once she walked in, she confidently introduced herself to me and our personalities instantly clicked. We concluded our introductions and continued to her first day of formal training which she embraced fully. She was very inquisitive about everything she was learning both about Shift and our team. In a matter of weeks, between multiple lunches and yoga workouts, our relationship started as strangers who instantly became co-workers and now a blossomed friendship. 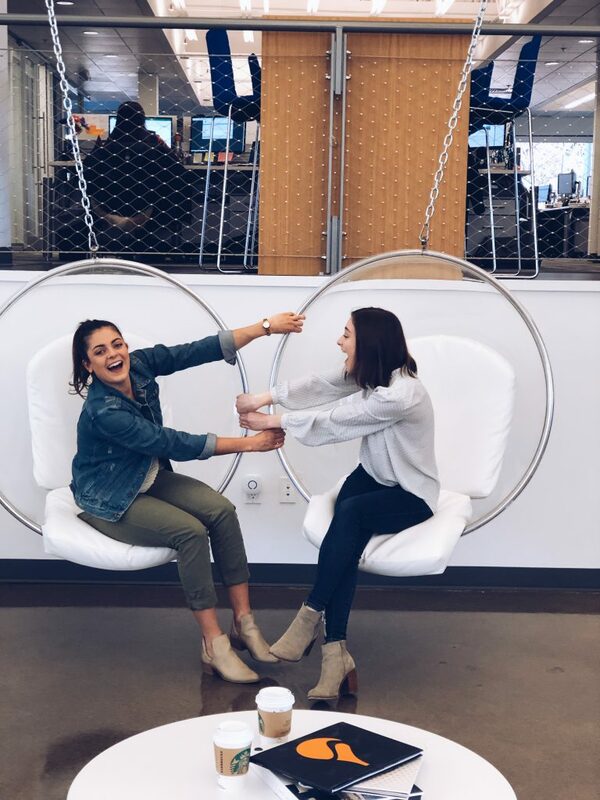 As you can see, the Shift Insider Program cultivates an environment that allows all new and current employees to really get to know one another. In 2017, we began an event that allows all new hires from a specific quarter to network and mingle with one another as well as their Shift Insiders. This brings the opportunity for everyone to have new familiar faces and others to relate to while still learning their roles. The idea is for this program to be more than just a welcoming committee rather a resource, or friend, you have during your entire Shift journey. Interested in joining our team? Click here to view our current openings and apply today!